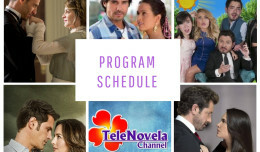 Passion: Episode 65 | TeleNovela Channel - Bringing you closer to lifes drama. Justo throws Vasco out of the house for all his foolish deeds that brought harm to Camila and the family. Sofia tells Ursula that she will have to marry Uriel or suffer living in a convent if she refuse. Meantime, Ricardo shows up at the trial and is waiting for the results so he can pay Camila’s obligation to the court. Lisabeta threatens to take Ascanio and Jimena’s freedom and make them her slave. Lisabeta tells Alberto that she has feelings for Ricardo and that he is not her cousin.